Kaylah posted about a very similar watermelon drink recently because, duh, it is one of the most delicious drinks either of us has ever had and we obviously both have it on the brain now that the anniversary of our trip to Renegade Chicago, & more importantly Native Foods Cafe, is rolling around. I have had this post ready to go for when baby boy showed up for a while now so I thought I would share my take on the drink as well. For this version I decided to add some fresh basil from our garden to the watermelon. 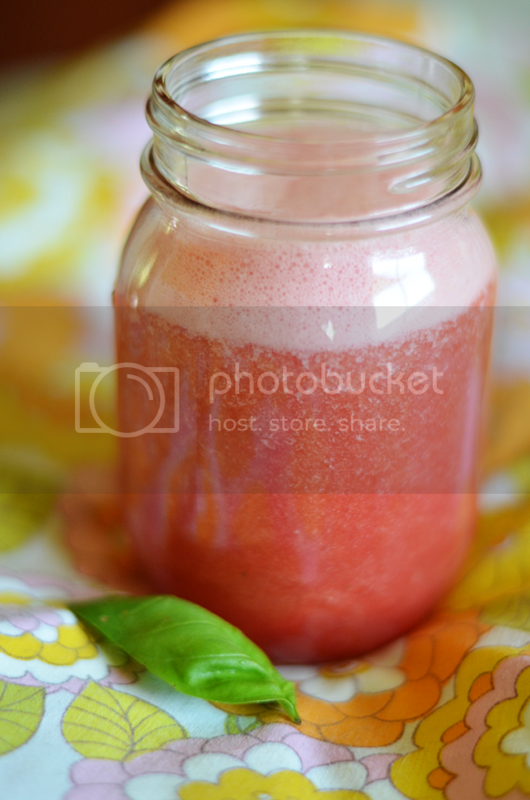 I used half of a smallish watermelon and one basil leaf which made at least four big glasses of this yummy drink. Sometimes I would drink it as is, other times I would squeeze in some lime and add some sugar (super delicious) or if I wanted a less intense taste I would mix it with water. All ways were really yummy and I will definitely be making this again. I'm thinking that a slightly more sugary version would make really good popsicles as well! I find that for popsicles I need to make them quite a bit more sugary than I think I would like for them to taste good once they are frozen. Well, I'm off. Ivan is playing piano while holding our little guy so I'm going to just sit here and enjoy it. PS. Some people have been asking about our little guy's name and...I think we have finally decided what it is but I will save that for another post coming soon. Naming a baby is hard! I love listening to people play piano. This look absolutely delicious! Mmmmmm, I think I will try it with lime! This looks delicious! Holding the baby while playing piano? I'm melting, that's so sweet. Enjoy your moment. This drink sounds so refreshing! I love the sound of a hint of Basil, I must try it. offend anyone by going along with someone else's suggestion! OMG - two of my favorite flavors! What a great idea! I just made a drink that was super close to this. Never thought about adding basil to it.. I bet mint would also be awesome in it. this post made my coffee seem sad. i'm heading to the grocery store now. Can't wait to hear little mans name! but, you're right, i think naming a baby should be very hard! Sigh..... why did it take me so long to find you? We are vintage cat lovin' Pyrex sisters. 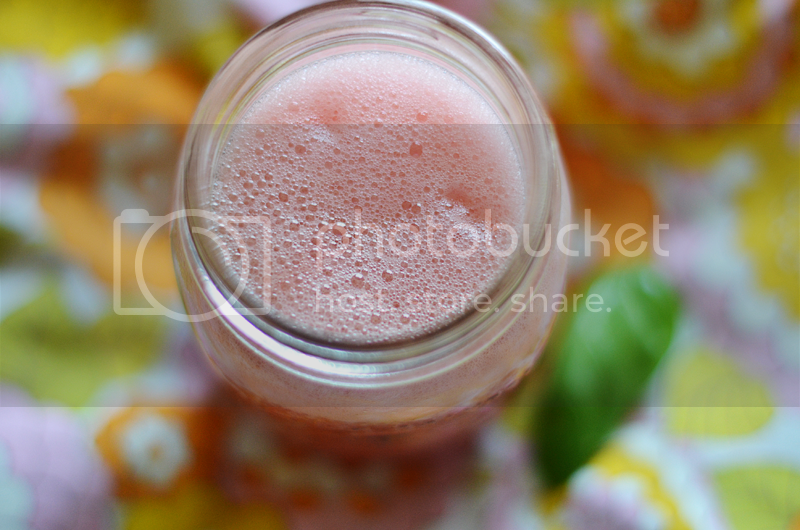 Watermelon juices are amazingly yummy! Try making it with mint leaves as well, it's delicious!